We're picky about our friends and we've met some great people and teams along our journey. Please take a moment to visit their websites and check out their offerings. Daily Faceoff is a friend and valuable resource. There is no other hockey news and data site like it. 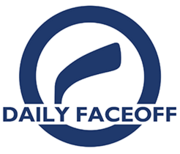 DailyFaceoff.com provides fast and the most trusted starting goalies and team line combinations. It's a one stop shop with the full NHL Schedule and NHL hockey player news. Scoresheet Sports has been offering realistic fantasy games for 31 years. Join the most realistic fantasy sports games available. Play H2H matchups with simulations using current player statistics. Become a real fantasy manager today and play with the best. FantasyData has been a partner of ours for years. Their sports data products power our tools, data analytics, and other unique features. FantasyData also offers research tools to help drive fantasy football success. Some of their most powerful tools include their historical NFL stats and NFL player projections. RotoBaller.com is your one-stop shop for fantasy analysis, sports news and live advice across ten sports. They specialize in waiver wire pickups, fantasy football rankings, and various tools for setting optimal lineups. Stop by their live chat rooms for real-time fantasy sports advice with experts, or to just talk shop. Razzball is a leader in fantasy sports advice and player projections. Their projections are available for purchase on their site and can be found in tools such as DFS Lineup Optimizers (for MLB, NFL & NBA) and Fantasy Trade Analyzers (for MLB, NFL & NBA). FBSchedules is the leader in schedule updates. For the full College football schedule and more, visit our friends at FBSchedules for all your scheduling needs. SicEmDawgs is a personal favorite of ours for everything you need to know about UGA Football . We are Georgia sports fans through and through. This site will keep you informed and pumped up for all things UGA. Fantasy Hockey Journal is a one stop shop for your hockey pool. The site offers helpful info and links to all the info you need to be successful. Hockey Draft is the premier hockey pool website with all the data and fantasy hockey tools you need to have the best draft experience. Oilers Nation is the number one source for edmonton oilers news, schedule, starting goalies and the latest edmonton oilers roster. NHL Numbers is the nhl salary cap authority with nhl team salaries player salaries and a brand new contract buyout calculator. 49ers Paradise is one the top San Francisco 49ers communities online. With a Forum and round the clock 49ers news, 49er fans will find something for them. What could be better than contests in your favorite college and football sports? Free contests, that's what. That's exactly what Sports Picks League offers. Sandlot Shrink has long been one of the most valuable fantasy advice services available. Sandlot Shrink has a group of respected sports writers with unique access to direct information from players, coaches and teams. Check them out and you may just benefit from their "insider inflammation". Baseball Guru has been a staple fantasy baseball resources for a number of years. Guru provides a free baseball game, baseball player projections and links to every baseball resource you will ever need. Guru provides a popular data archive, stat analysis and fantasy insider. Always willing to take on questions, so just Ask the Guru! Daily Fantasy Cafe is known for it's fantasy tools and content. Cafe has covered the top daily fantasy websites with in depth text reviews, image and video coverage. Most notably, DFC has some of the most lucrative promo code offers for the top Daily Fantasy websites such as FanDuel, DraftKings & Fantasy Draft. Find the Daily Fantasy Cafe Sign Up Bonus for Draftkings and Free $20 promo offer for FanDuel. DepthCharts.com is the latest creation of Sam Shefrin and partner of Lineups.com. DepthCharts.com keeps it simple with depth charts for the major sports of NBA, NFL, MLB. Sleeper U has been one of the most consistent fantasy football services over the years. Previously Fantasy Football Starters, Smitty bring valuable insight and advice in a service well worth the price.